Pee Wee Wanninger was a slight of stature (5-feet-7, 150 pounds) shortstop who batted left-handed but threw with his right hand. He played in 163 games in two seasons – 1925 and 1927 – for three different teams, the Yankees, Red Sox, and Reds. Wanninger twice broke his leg, and twice was involved with ballplayers with very long consecutive-game streaks. His father, Anton Frederick Wanninger, had come to the United States from Germany, arriving in 1874. Anton’s third wife, the former Margaret Nell Fromhold, gave birth to Paul Louis Wanninger, the fifth of eight children in Anton's Birmingham, Alabama, household at the time of the 1910 census. Paul was born in Birmingham on December 12, 1902. Anton, a grocer, had married Margaret in 1898. Two of the oldest children had been from his first wife, Minnie Henke. Paul attended Gibson Elementary School for seven years and had one year at Central High School, but that was the end of his formal education. He worked for a couple of years in a dental laboratory while he played ball in the Birmingham City League.1 In 1922 he played shortstop and second base for Selma in the Southern Alabama League and hit for a .312 batting average.2 In 1923 he played in 88 games in Class-B ball with the Augusta Tygers of the South Atlantic League. He'd already begun to attract some attention from scouts. During the season, Augusta heard from Troy Agnew, the manager of the Class-C Okmulgee Drillers in Oklahoma. Agnew, a native of Augusta who was managing the Drillers in what looked like it might be a pennant race in the Western Association, needed a shortstop and he appealed to the Augusta team for some help. On July 1 Augusta responded to the appeal and sent Wanninger west.3 The Augusta Chronicle noted his talent and his "tremendous popularity with the fans," adding that "a brilliant future is predicted for him. "4 He played in 16 games for the Drillers, batting .262, but before the month was out he was back with Augusta. At the higher level, Augusta, Wanninger hit for a .241 average. In 1924, Augusta asked him back to play shortstop once more, and that year he hit .296, increasing the interest among those following his development. Paul Wanninger made the team. He made his major-league debut on April 22 when he came on late in the game to take over for Scott; Wanninger struck out in his one at-bat. He pinch-hit on April 25 and both singled and later scored his first run. On the 27th he took over from Scott in midgame, and was 2-for-2 with a pair of singles. Lou Gehrig appeared in a handful of Yankees games in 1923 and 1924, and pinch-hit for Wanninger on June 1, 1925. 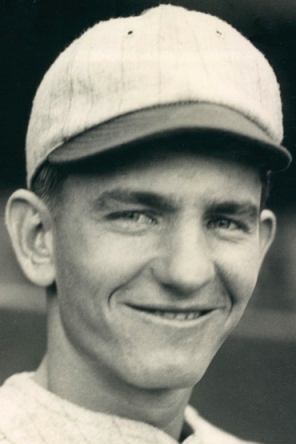 The next day, while Wanninger was playing in his 30th game, Gehrig was given a start at first base in place of Wally Pipp, had a 3-for-5 day – and then played for another 2,128 consecutive games, leaving Everett Scott's record in the dust. Wanninger gradually tailed off as the season progressed, finishing up (after appearing in 117 games) with a .236 average, 22 RBIs, and 35 runs scored. He didn't get on base all that often (witness his .256 on-base percentage) and he didn't have a lot of power (his only home run was the one against the Browns). His slugging percentage was just .305. Wanninger’s 30 errors (.944 fielding percentage) were more or less middle of the pack in the American League, him ranking fifth in the eight-team league, though sometimes his errors were costly ones – he made headlines helping lose games on July 18 and August 27, then committed three errors in the August 30 game. On October 23, Wanninger married Augusta resident Blanche Daley in Aiken, South Carolina. Wanninger was a holdout during Red Sox spring training and the last player to come to terms, finally arriving in New Orleans on March 9. Incoming manager Bill Carrigan was expected to be choosing between Wanninger and Topper Rigney for shortstop. There were others in the mix, too, and the die was truly cast on May 2 when the Sox traded Rigney to Washington for Buddy Myer. Myer played 133 games for Boston. Wanninger played in 18, most of them in the early season until Myer was acquired, and then in just a couple of pinch roles before he was moved. Wanninger had hit .200 for the 1927 Red Sox, a team destined for last place. He drove in just one run, and scored four. A wild throw to first base, "a mile over [first baseman Phil Todt's] head"17 trying to execute a double play in the 10th inning of the May 2 game against the Athletics cost the Red Sox the game. It was Wanninger’s last start in a Boston uniform. One errant throw costing a game was perhaps not the only reason the Red Sox let him go. In a note he wrote by hand on a statistical summary of his career, Wanninger added, "Son born May 16, 1927 – management would not permit me to go home so I quit." On May 16 Wanninger was purchased by St. Paul and he returned (at least on paper) to the minor leagues. On May 27 the Cincinnati Reds bought his contract from St. Paul. For Cincinnati, Wanninger appeared in 28 games. He hit .247 with 8 RBIs but by June 27 had played his last game for the Reds, and in the major leagues. Hod Ford played the rest of the season for the Reds. For the next six seasons (1927-1932), Wanninger was with St. Paul. He played 26 games in what remained of 1927, and then a full 155 games (batting .246, but with a .337 on-base percentage) in 1928. The only other full year was 1930, when he appeared in 143 games (.288, .375 OBP). But he got into only 82 games in 1929 and then only 18 in 1931. In 1932 he got into 44 games but hit for only a .176 batting average. He had a lot of baseball under his belt but was still just 29 years old. In 1933 Wanninger served as a utilityman for the Louisville Colonels, appearing in 68 games and hitting .247. In December 1933, he was named to manage the 1934 Knoxville Smokies. He was meant to be a player-manager, playing second base. Wanninger never got to manage a game, except during spring training. Two days before the season began, he was released. The reason given was to "better the club. "18 He's listed as playing in four games for Milwaukee, but what really became of his year we do not know. In 1935 Wanninger played for Daytona Beach. Wanninger finally got a chance to manage, with Augusta in 1936, hired by Troy Agnew, who was now back home in Augusta. He was replaced as manager during the season, but played in 140 games, batting .282. In 1937 it was again 140 games on the nose, this time batting .302 and was named as second baseman to the league's All-Star team.19 He played in 1938 as well, but only in 46 games and with a diminished .250 average. In July 1940 Wanninger was named manager for the Selma (Alabama) Cloverleafs in the Southeastern League.20 He had also been one of three managers for the Huntington (West Virginia) Aces in the Mountain States League. His last year in baseball was 1941. He was hired on June 5 that year to manage the Montgomery Rebels, the second of their two managers that year. At age 39, Wanninger was drafted into the service during World War II and served in the Army Air Force from 1942-45, managing sports teams at Buckley Field in Denver. Paul Wanninger died at home on March 7, 1981, in North Augusta, South Carolina. He was survived by his son, one brother, and two sisters. His funeral and burial were in Birmingham. In addition to the sources noted in this biography, the author also accessed Wanninger's player file and player questionnaire from the National Baseball Hall of Fame, the Encyclopedia of Minor League Baseball, Retrosheet.org, Baseball-Reference.com, and the SABR Minor Leagues Database, accessed online at Baseball-Reference.com. 1 Ford Sawyer, Boston Globe, July 1, 1925. 2 Augusta Chronicle, April 15, 1923. 3 Augusta Chronicle, July 2, 1923. 5 Ernest J. Lanigan, Hartford Courant, January 22, 1925. 6 Charlotte Observer, July 31, 1924. The Observer said he had broken a small bone in his ankle. 7 Ford Sawyer, Boston Globe, July 1, 1925. 8 Ray Birch, "Everett Scott," SABR BioProject, sabr.org/bioproj/person/365591cd. 9 Trenton Evening Times, April 10, 1925. 10 Frank M. Young, Washington Post, May 8, 1925. The May 7 Boston Globe was one of the newspapers reporting "lame knees." 11 Christian Science Monitor, July 1, 1925. 13 New York Times, December 17, 1925. 14 Associated Press, Christian Science Monitor, August 17, 1926. 15 Boston Globe, December 8, 1926. 16 Boston Herald, December 16, 1926. 17 Boston Herald, June 3, 1927. 18 New Orleans Times-Picayune, April 15, 1934. 19 Macon Telegraph, August 29, 1937. 20 Columbus (Georgia) Daily Enquirer, July 23, 1940. 21 Grimsley's story ran nationally, including in the News-Times, Danbury, Connecticut, April 15, 1980. 22 Note found in Wanninger's player file at the National Baseball Hall of Fame.